I created an earlier post providing step by step instructions for building a redundant rig for MainStage. 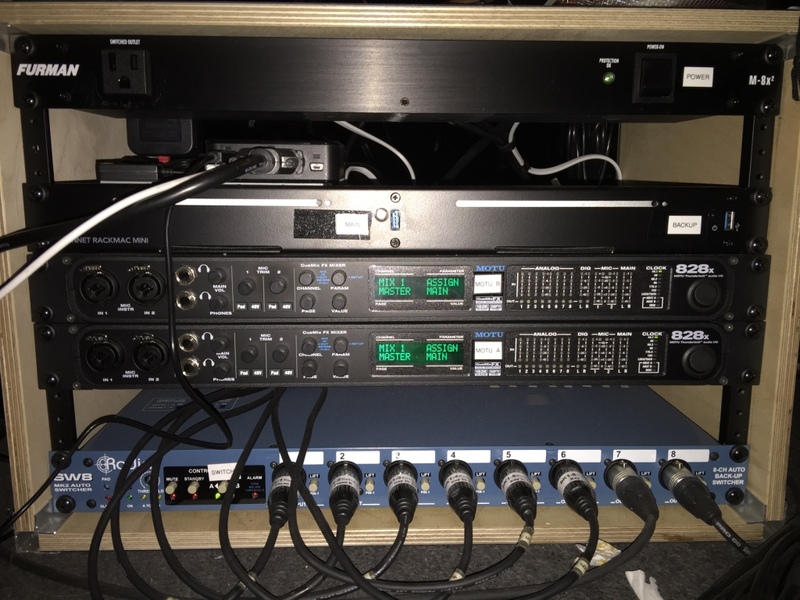 While this setup works incredibly well, it’s not necessarily within the budget for all productions nor is it always portable enough to be easily transported. In this post, we’ll take a look at how to create a redundant rig when budget or space is a consideration. The premise behind this type of backup system is that you’ll use MainStage as your main rig, but your controller keyboard will actually be a synthesizer that will have most, if not all, of the sounds you’ll need for your production. Your controller/backup keyboard could be programmed to be a near exact reproduction of the MainStage programming if your keyboard has the necessary sounds available. Otherwise, you’ll need to just do the best you can with what you have, but in an emergency, it’ll do. Another option is to simply have some sounds ready to go on the backup keyboard that you could access quickly to reproduce the standard sounds you’ll need in your production (piano, strings, brass, etc). Pros: Portability, easier on the budget, simple to put together. Cons: Backup isn’t an exact match of the MainStage programming, limitations of what keyboard you can use, more time consuming to program, more difficult to match levels between main and backup. A keyboard that has the features you need in a controller PLUS the internal sounds you’ll need to recreate the programming you’ll need. 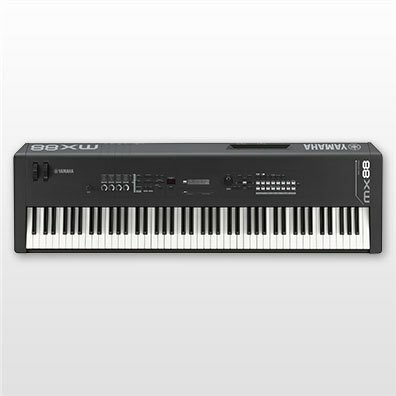 A good example of this is the Yamaha MX88 which is available for around $999.99. This unit only has two pedal jacks, so you may need to improvise to make it work as needed. 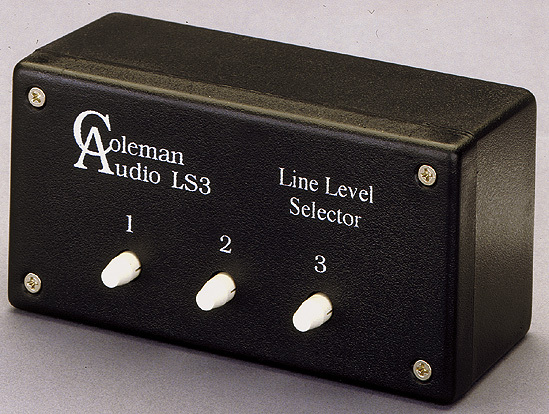 Coleman Audio LS3 Line Selector This will function as your audio switcher, and is available for about $130. It’s limited with regard to inputs and outputs, but if you only need a few outputs, it’ll work just fine and at 10% of the price of a Radial SW8, it’s a great option. Audio: Audio outs from audio interface to Coleman switch, audio outs from keyboard into audio switch, audio outs from Coleman switch to front of house. As mentioned earlier, if your keyboard has enough functionality to faithfully reproduce your MainStage programming, you’re in great shape. However, depending upon the show and which keyboard you choose, you may need to make some shortcuts. For example, you might need to leave out some sound effects or complicated splits and layers. If you want to keep your MainStage rig and the keyboard perfectly in sync, then assign program numbers in MainStage and advance patches using program changes. Otherwise, you’ll need to advance to whichever patch you need on your keyboard should you need to switch to your backup. A simpler approach, but one that won’t work with every situation, is to only program a few patches on the keyboard that can be quickly accessed just to get you through to the end of the act or the set. For example, have a piano patch, some strings, Hammond organ, etc ready to go on the keyboard. This approach will only work on some shows and some types of keyboard books. However, this is a great option if you’re using your rig to play with a rock band in a club or concert. It allows you to bring a minimal amount of gear and to keep things very simple. A drawback of using your keyboard as your backup is that it will be quite difficult to match your levels exactly between the MainStage rig and the backup. Even if you take measurements in dB, the volumes will still vary due to how the different types of sounds will be approached by you as a player. Also, the difference in the quality of the sounds will create perceived differences. Again, for an emergency situation, this is fine. For a long running show, it may not be the best option. I’ve used this type of backup for situations such as playing in a wedding band, doing a reading or workshop, and cabaret shows. For such situations, it’ll work perfectly fine and will save you thousands of dollars on the cost of your rig. It’s also MUCH easier to transport. As long as you’re aware of both the pros and the cons of such a rig, you can decide when it will be a solid option for your situation.